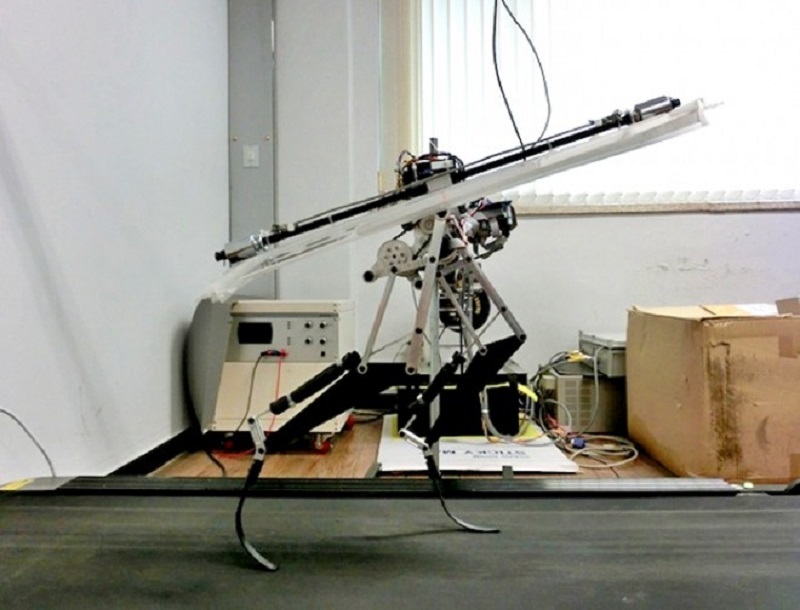 Scientists at the Korea Advanced Institute of Science and Technology (KAIST) have made a robot dinosaur that can run faster than Usain Bolt, a man who is widely-regarded as the fastest human on the planet. Called Raptor, the robot dinosaur can run at the speed of 28.58 miles an hour. That’s faster than Usain Bolt’s record breaking 27.44 mph sprint. Raptor is made of lightweight composite material, and weighs in at only around 6 pounds. The robot runs on two legs and features a long tail. Both the design and look were inspired by velociraptors, the real-life dinosaurs that hunted in packs and chased down their prey with razor sharp claws. While this Raptor can’t actually outside of the realm of the treadmill, it can still run extremely fast. The only robot that has been able to run faster than Raptor is the Cheetah. The Cheetah, which was developed by researchers at Boston Dynamics, can get top speeds of over 29 miles per hour on a treadmill. However, the Cheetah runs on four legs, while Raptor moves on only two. Raptor has a tail that helps keep it balanced on its two motorized legs. While the tail is on the side of its body instead of in the middle like real velociraptors would have had it, it can do some amazing things. The robot Raptor’s tail can help it dodge obstacles that are placed in its way, as well swipe some obstacles clear off the treadmill. The Korea Advanced Institute of Science and Technology reportedly has big plans for Raptor. They plan on making the robot dinosaur be able to run on flat surfaces outside the treadmill, so be sure to watch out for robot dinosaurs in the future!